At a first glance, the service list screen looks exactly the same with the one in the previous version. Still, in contract to the previous version, now, when you click on a cell you create a new account. If you would like to see the accounts that are connected to a service, you long press on that service. The second screen shows the accounts that we are connected to for the "Box" service. If we click on an account, we will disconnect from it, if we swipe across, we can delete that account. If you disconnect from all accounts, then you are also disconnected from that service. If you click on a disconnected account, you connect to it. 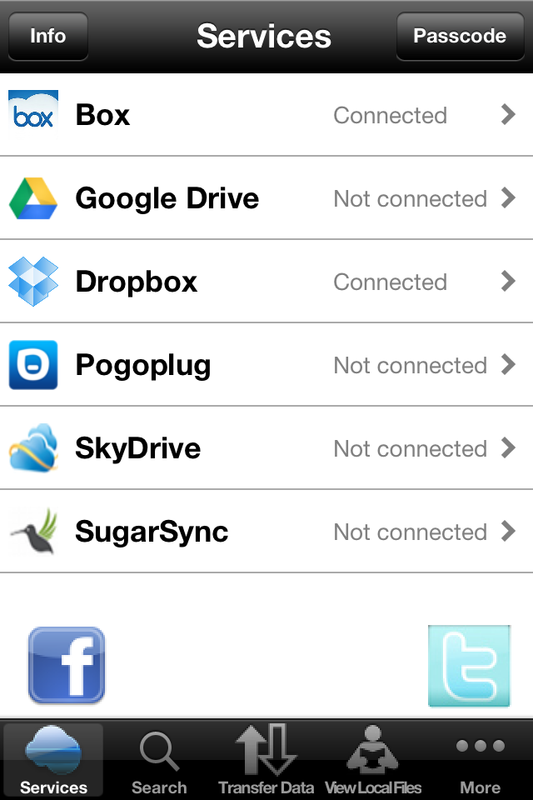 In the third tab we see a list of all the accounts that we are connected to, grouped by a service. As before, you click on an account to see a list of the files that you have on that account. You may transfer data from one account to another account, even if these two accounts are on the same service. 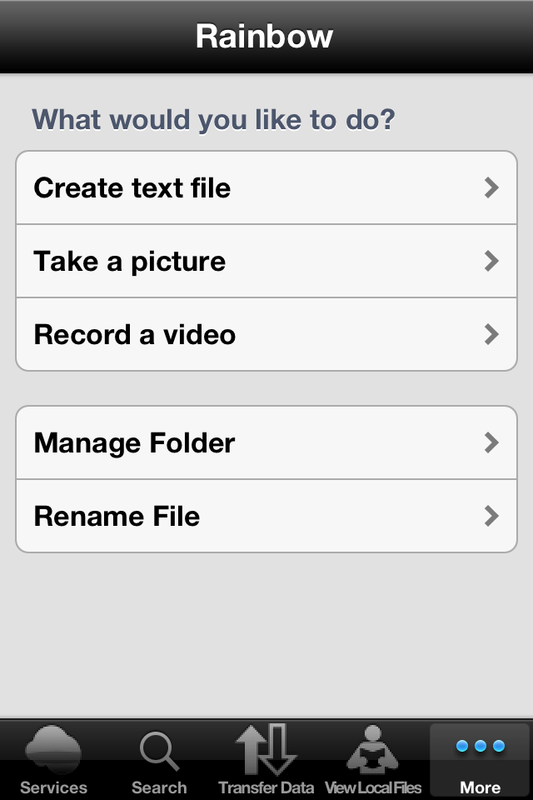 When you click on the "Manage Folder", you can create a new folder, delete an old one or copy a folder to another folder. As with the files, you can copy a folder from one account to another account, even if these two accounts are on the same service. 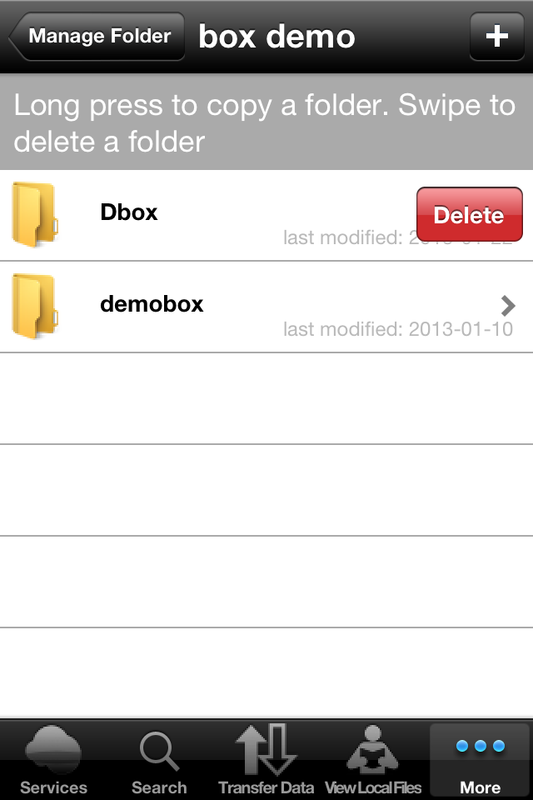 To delete a folder you swipe across and then you click on the "Delete" button. 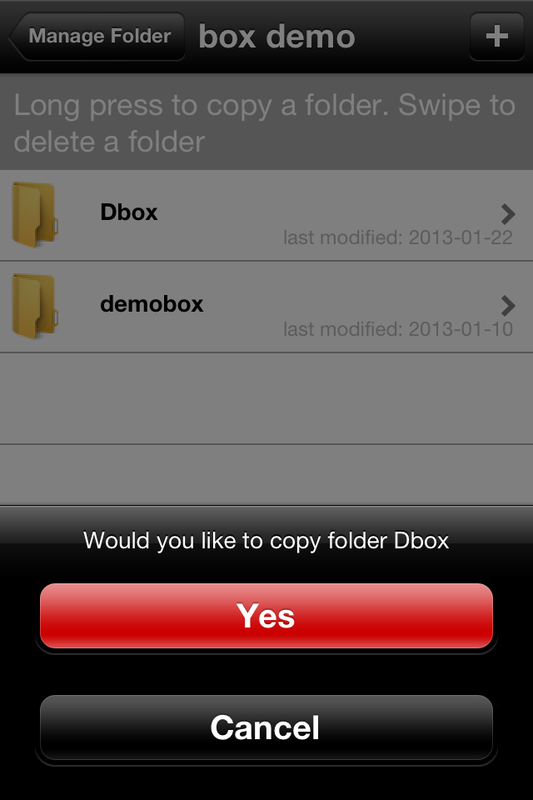 To copy a folder you long press on that folder and follow the steps which are the same for transfering files.